Walt Disney hình ảnh - Lọ lem (New Look). The new look of Princess Cinderella. I don't know why Disney is doing this :(. HD Wallpaper and background images in the Những nàng công chúa Disney club tagged: disney princess cinderella princess cinderella. All these new looks are just the girls being girls, personally I like the new hair style, no more gravity defying buns and the side fringe is nice, to bad they can't make the dress silver so Aurora can wear blue. Oh well I guess Ariel in green is the only one Disney appears to realize. ...She's pretty, yeah...but she's not Cinderella. She looks like Cindy down the block dressed for prom. Not the woman who made my childhood. Can we just keep the old looks? Like forever? Now when she is beautiful, she is not real Cinderella anymore now she looks like kind of 'Barbie as Cinderella' now. And hey WinxBelievix1, you have got my profile picture! 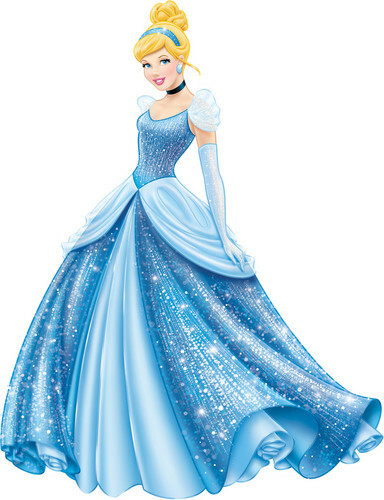 I agree with AliceOfHearts, they shouldnt have changed how Cinderella looks. when i found out, i was pissed, my first thought was, 'What the Fudge! is that supposed to be Cinderella, because that character doesnt look anything like original Cinderella! Umm, her hairs supposed to be slightly orangey. But it's otherwise really quite pretty. Yes, I don't know why they changed her whole look. In the movie her hair is more orange not blonde and her gown is not blue but silver. Why couldn't while changing her look, fix it.